You are here: Home > Blog > Energy, sustainability & economics > What’s the point in allowing deer stalking in my woodland? Deer stalking in your woodland can ensure a healthy herd is maintained locally, provide you with a supply of venison, and help to alleviate the problems of overpopulation of deer. Too many deer can lead to damage to trees, woodland flora, wildlife habitats, and poor health for the deer themselves if their numbers are greater than the habitat can support. With rapidly rising deer populations across the UK, having some sort of deer management plan is useful for woodlands of all sizes. Owners of smaller woodlands will often club together to develop a plan often organised by a deer stalker - these arrangements have good side effects in that neighbouring owners meet up and advance their common interests. If you don’t plan to manage the deer yourself then there are a number of things to bear in mind when organising stalking in your woodland. In the UK, there are a lot more stalkers than stalking opportunities, so as a woodland owner you can afford to be selective in whom you allow to stalk on your land. 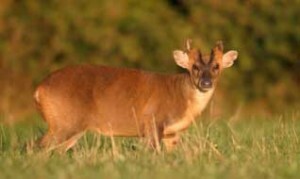 When choosing a stalker (hyperlink - https://www.woodlands.co.uk/blog/practical-guides/deer-stalking-and-woodlands/), it is advisable to ensure that at the very least he or she has Deer Stalking Certificate Level 1 qualified (hyperlink - https://www.woodlands.co.uk/blog/woodland-activities/whats-it-like-to-go-on-a-deer-management-course/#more-21977) Any agreement reached should be clearly written out which a deer stalker will usually want anyway as he/she has to be able to show authority to shoot somewhere in order to get a gun licence. It is also desirable to ensure that there is a detailed deer management plan in place, so that any conflict of interest between over-culling to sell the carcasses and responsible management of the deer numbers can be kept in check. Venison is one of the healthiest meats you can eat - free-range and lean. Moreover, unlike lots of supermarket meat, you can be sure that the meat from your woodland has been ethically sourced. You could agree with the stalker that he or she supplies you with some of the meat periodically. Venison is a low calorie healthy meat packed with protein and iron. It is also full of B vitamins: B2 (riboflavin) and B3 (niacin) which help regulate metabolism, and vitamin B6 and B12 which lower the risk of heart attacks and strokes. Having a good and reliable deer stalker visit your wood frequently ensures the deer population in your wood is properly managed, with the possibility of a steady supply of very healthy meat for you and your family. Finally, and perhaps equally importantly for the owner of a small woodland, is having another trusted pair of eyes watching over your woodland when you’re not around. Don’t forget members in Staffordshire and Warwickshire. often early morning and late evening. The alternative will almost certainly be near-do-well trespassers and poachers.